WEST PALM BEACH, Fla. — Fabulous trips to the exotic island of Aruba will once again be part of the prize packages for champions of the International Hot Rod Association (IHRA) Summit SuperSeries. The champions of the Top (Box) and Mod (No Box) classes will receive seven-night/eight-day Aruba vacations for two. The trip includes airfare, hotel accommodations, car rental, an island tour and several lunch and dinner packages. It is the 15th straight year which trips to Aruba have been provided to IHRA champions. In 2018, the Hilton Aruba Caribbean Resort and Casino will serve as the host hotel. It is part of an overall package where the champions receive $20,000 to win, an IHRA Gold Card, a World Champion Ironman trophy and a World Championship diamond ring. Tom Gall of Beresford, S.D., earned the IHRA Top World Championship at the 2017 IHRA Summit World Finals. Chris Black of Butler, Pa., will be heading to Aruba as the 2017 IHRA Mod World Champion. The Aruba vacations are made possible by partnerships with Around Aruba Tours, El Gaucho restaurants, Tropicana Resorts — TropClub Casino, More 4 Less car rentals and the Don Flip Racing Team. Now is the time to renew your IHRA membership, good for entry at any of the nearly 100 sanctioned IHRA tracks, and have the chance to compete for a fabulous seven-night/eight-day trip of a lifetime and the other great prizes. 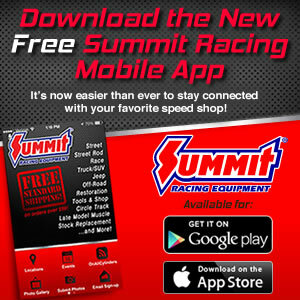 For more information about the IHRA Summit SuperSeries please click here.